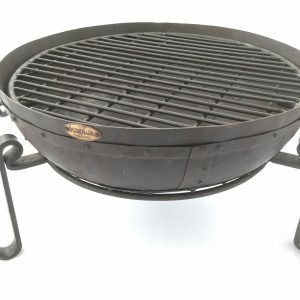 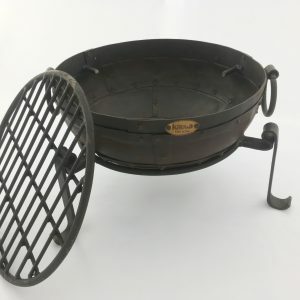 Our range of Karma Kadai Fire Bowls are crafted from re-cycled oil drums, and are beaten traditionally by hand using steel plates that are carefully shaped and riveted together for maximum strength and durability. 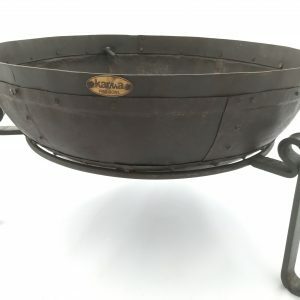 Ranging in size from 40cm – 120cm, each Kadai is fitted with our unique filter system allowing rain water to drain away without damaging your bowl. 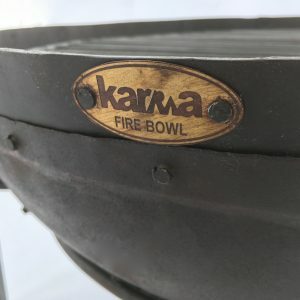 Every Karma Kadai bowl comes complete with heavy duty iron low stand, robust grills and a free companion set which consists of Brass wire brush, Forged tongs, Ash shovel, and a pair of handy Grill lifers. 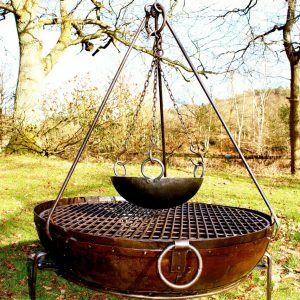 Using your Kadai on a Low Stand is the ideal height for sitting and relaxing around as a fire pit. 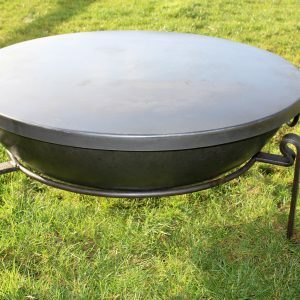 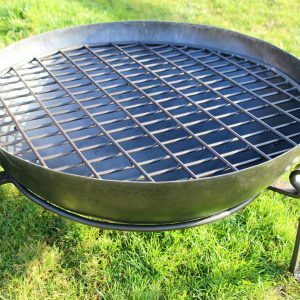 Using your Kadai on a High Stand is the perfect height for cooking on as a barbecue. 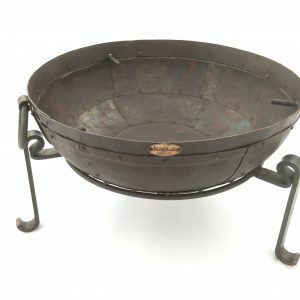 All our fire bowl products are sourced sustainably and made from re-cycled materials where possible so you can spoil yourself but not the planet.